How Ruth’s Way Helped Me!!! The Homewood Holiday Market TODAY!!!! Homepage Fantastic Events The Homewood Holiday Market TODAY!!!! Ruth’s Way, Inc. Www.ruthsway.org!!! We will be on site to get your Achievement Consultation appointments scheduled before the holidays!!!! We will also be giving away 1 toy for each donation to the organization received at our table today, while supplies last!!! Our activity for the day with the kids is: “Christmas Coloring”!!! Focus on the FUTURE, the past is the past…. Hey, If you shop Amazon, why not join us? Our holiday BOGO is finally here! 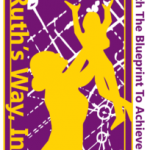 Founded in 2005, Ruth’s Way, Inc. is faith-based, and the only existing Achievement Consulting Agency for Adolescent Girls (ACAAG) in the world! We provide services to female youth ages 13-21. With over 20 years of Social Services experience, we form a phenomenal team of Behavioral Health Professionals! So Who Wants To Become The Proud Owner Of 1 Of These Beauties…..
Ruth’s Way’s Celebration Extravaganza For Our S.T.A.R.S. !